The need for strong but lightweight material is an issue of great importance in the engineering world, and it isn’t going away anytime soon. This need is what led a group of researchers and engineers to produce the world’s lightest watch, which weighed just 40g, including the straps. With their findings, the future of precision engineering looks bright. The world’s lightest watch, RM 50-03, was made from a composite material that incorporated graphene into its structure. Graphene has a high degree of tensile strength and mechanical stiffness. A small amount of it was added to an unidirectionally reinforced carbon fiber composite with the aim of improving stiffness and achieving an overall weight reduction. The 2 percent graphene addition to the epoxy resin, dispersed through the material and aligned in the fiber direction, resulted in the composite showing a significantly higher strength and stiffness after being subjected to tensile tests, Raman spectroscopy and X-ray CT scans. The procedure also resulted in a lightweight composite material since the need for heavier materials was negated through graphene reinforcement. Moving forward, the benefits and potential applications of this procedure are far-reaching and could offer a great boost to precision-engineering industries, such as automotive and aerospace, where stiff, strong and lightweight materials are of great importance. By incorporating this simple method into existing industrial processes, graphene’s mechanical properties may prove vital in the manufacture of automotive body work and airplane wings, among other components. 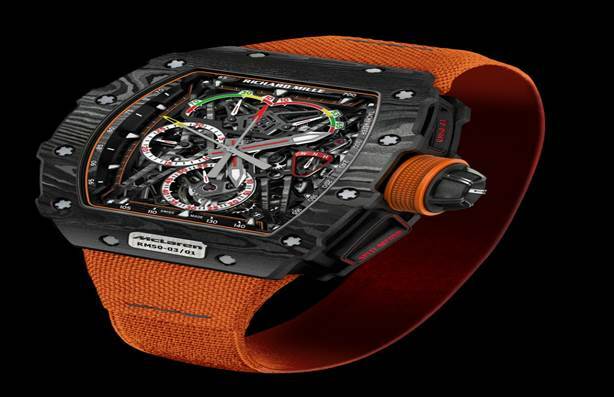 This study was a collaborative effort by McLaren Applied Technologies, Richard Mille Watches and a team of researchers from The University of Manchester’s National Graphene Institute. The full detail of their findings has been published in the journal Composites Part A: Applied Science and Manufacturing. For more exciting graphene news, check out Graphene-based Solid Lubricant as a Replacement for Oil.